A substantial and detailed bibliography and guide to major archival holdings, visual materials and sound recordings. This research report of journals, periodicals, and newspapers includes Ukrainian, German, Polish, and Russian titles. A list of monographs and pamphlets written by (or about) the four non-communist politcal currents among postwar Ukrainian émigrés—monarchist, nationalist, democratic, and socialist. Tables derived from 1981 census data on: ethnic origin, geographic distribution, age, religion, language, education, occupation, income, place of birth and immigration, and family status. 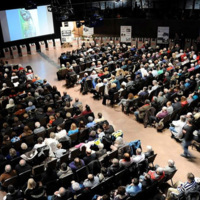 A discussion of trends and needs in the Ukrainian community based on the 1981 census. A guide to composers in Ukraine and the diaspora. See Choral Music, Folks songs, Carols, and Ballad in the Encyclopedia of Ukraine. An exhaustive bibliography (1,340 items) of Volodymyr Hnatiuk. See Volodymyr Hnatiuk in the Encyclopedia of Ukraine. Finding aid to this collection which is located in the Ukrainian Cultural and Educational Centre (Oseredok) in Winnipeg, Manitoba. 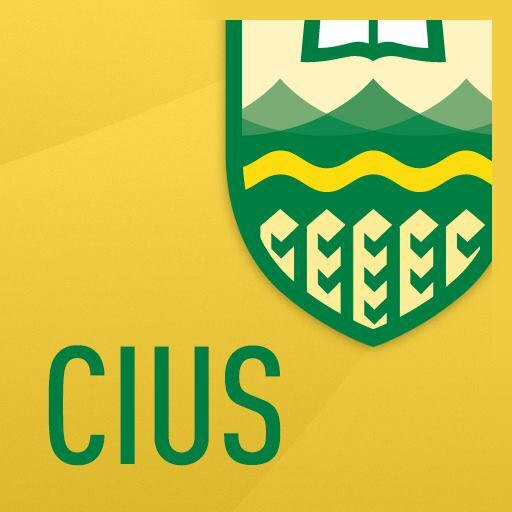 A cartobibliography which provides a description of cartographic materials dealing with Ukraine in the University of Alberta Map Collection. 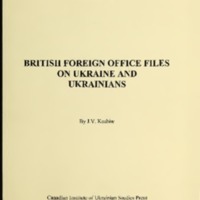 This research report is an authorized reprint of the holdings of the Central Scientific Library of the Academy of Sciences of Ukraine. A catalogue of the newspaper holdings of the Central Scientific Library of the Academy of Sciences of Ukraine. A continuation of Research Report No. 26, this publication is a catalogue of newspaper holdings of the Central Scientific Library of the Academy of Sciences of Ukraine. A continuation of Research Report No. 26 and Research Report No. 27, this publication is a catalogue of newspaper holdings of the Central Scientific Library of the Academy of Sciences of Ukraine. 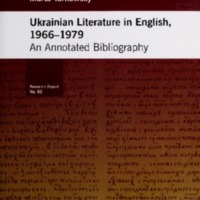 This bibliography includes descriptions of serials, monographs, and pamphlets, as well as a transliteration of Ukrainian and other East Slavic languages based on the modified Library of Congress system. Forty-three previously unpublished letters of Stefan Rudnytsky to Sofia and Stanyslav Dnistriansky. A detailed manual of the two distinctive Ukrainian national music instruments: The Kobza and the Bandura. Includes history, notes, songs, and playing techniques. This report lists nearly 60 different Ukrainian Serials published in the Russian Empire in the early Twentieth Century. An indexed guide to 302 periodicals held at the Central Scientific Library. Co-published with the FITA Publishing Centre in Kyiv. A collection of Ukrainian memoirs made up of 200 entries divided into two sections: memoirs dealing with World War I, and those in the period 1917–24 as well as the Ukrainian Revolution. Bibliography Series editor: Edward Kasinec. Data about 1,200 serials in various libraries. The report is divided into two parts: publications from the Interwar Polish State (1918–1939), and those published in the Western Ukraine National Republic (1918–1919). A review of the 26-volume History of Cities and Villages of the Ukrainian SSR which was published between 1967 and 1974. The Batchinsky Collection is a monument to Evhen Batchinsky's passion for documentation, which he directed toward preserving as many materials as possible relating to Ukrainian political history and emigre activity in Western Europe. The Luchkovich collection consists of 4 volumes, together measuring 110 cm. of files. Volume 1, which is the largest contains mainly Luchkovich's personal papers. A collection of sixty-one folkloric songs that Ukrainian pioneers brought with them to Canada. A chronology of the public activity of the Council of Nationalities (1989–1993) most important events. This work lists national and cultural associations, communal organizations and their leaders who were invited to the sessions of CN RUKH. A list of bibliographies, newspaper articles, biographies, periodicals and journals published by Ukrainians in Russia. Included is a Statistical Compendium of Ukrainians in Russia. It includes 3,375 items on Dovzhenko's writings and secondary sources. 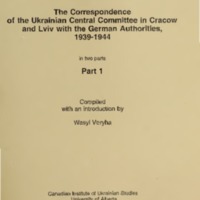 An extensive two-volume collection of documents of the German Authorities related to the activities of the Ukrainian Central Committee in Cracow and Lviv. A comprehensive bibliography which includes articles, prose, poems, correspondence, photography, and artistic reproductions of the Ukrainian avant-garde struggle.